This chocolate cake is so moist, delicious and irresistible that you will be glad that it is only small in size. 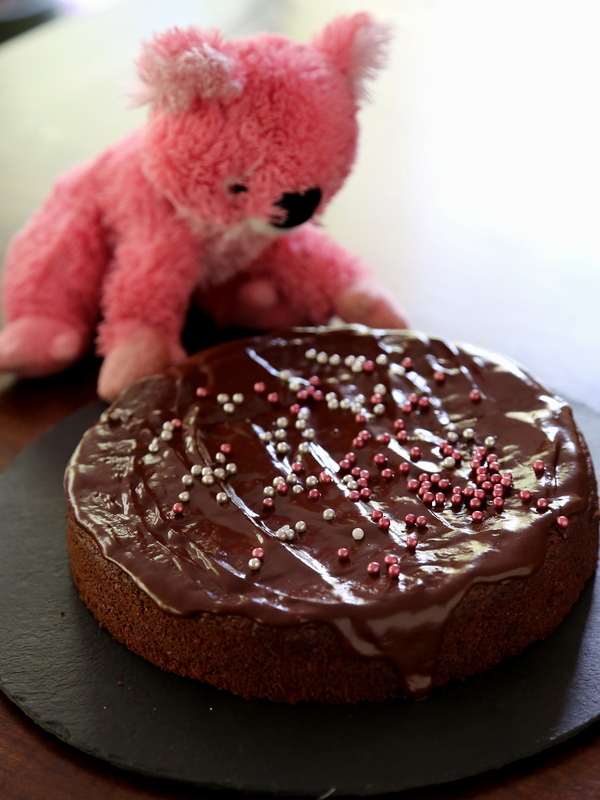 It’s petite size makes it the perfect treat for celebrating all sorts of small special events, such as the weekend, a new handbag, or in this case, a birthday party for my daughter’s favourite pink koala. It is so delicious and easy to make that you will be looking for any excuse to celebrate with this cake too! 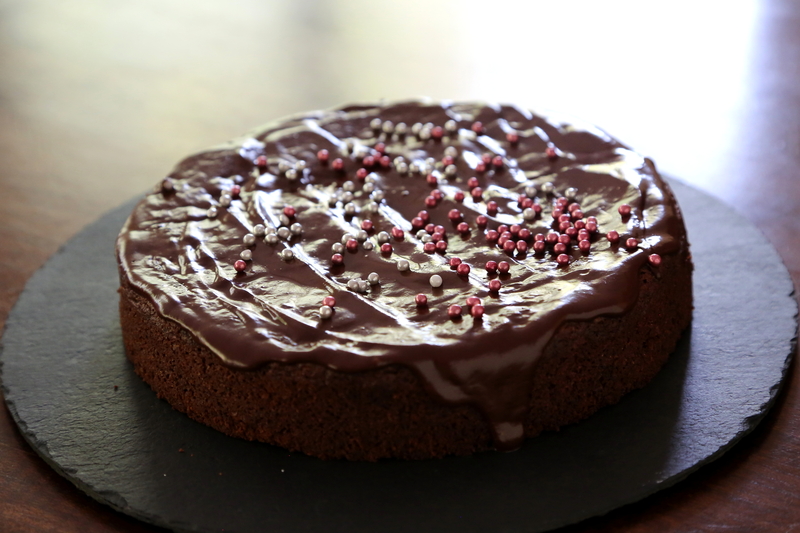 Do you have a favourite chocolate cake recipe? What special occasions do you bake for? Preheat the oven to 180C (350F). Grease and line a 20cm (8 inch) cake tin. Place the dry ingredients in a bowl and stir. Add the remaining ingredients and stir until just combined. Spoon the thick batter into the tin, smooth the top, and bake for approx 30 minutes. Remove from the oven and allow to cool completely. To make the glaze, place all ingredients into a small saucepan and melt over a medium heat; stir until smooth. Spoon over the top of the cake. The glaze takes about 45 minutes to set. Posted in Cakes & MuffinsTagged cake, celebration, chocolate, easy dessert, food, food photography, vegetarianBookmark the permalink. I think I need a pink koala for this one. What a lovely celebration cake. I like cakes that are human sized so we can eat something else in a day or so. I know what you mean! This cake is just the right size. The exact same koala … I think that’s a sign that you make it!